GEN3 Electric (215) 352-5963: Is Your Room Air Conditioner Safe? 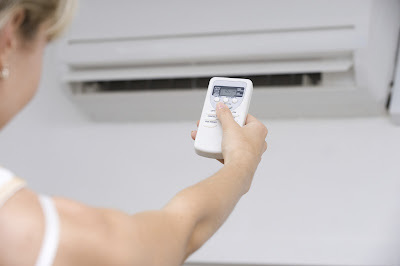 Did you know that room air conditioners require special wiring and dedicated circuits? While most of wouldn’t be able to tolerate Philadelphia summers without them, they shouldn’t by installed by anyone without proper knowledge and electrical experience. If you’ve recently had your home’s electrical system upgraded and made sure to tell the electrician where you going to place air conditioners during the warmer months, you most likely don’t have anything to worry about. However, if your wiring system is old and the circuit wasn’t intended for an AC unit, you could potentially wind up with a problem this summer. According to Electrical Construction & Maintenance, “The branch circuit conductors for a cord and plug-connected room air conditioner must have an ampacity not less than 125% of the rated-load current [440.32]. If the room air conditioner is the only load on a circuit, the marked rating of the air conditioner can’t exceed 80% of the rating of the circuit OCPD [440.62(B)]. Not sure if your home’s electrical system can safely support your air conditioners this season? Contact the expert electricians at GEN3 Electric. We’ll come by to make sure you’re not in harm’s way! Call us today at 215-512-4102 to schedule an appointment.